In 1988 West Berlin was the European City of Culture. The curators decided that “Werkstatt Berlin“ (Workshop Berlin) was to be a major part of the musical program, with the goal to create a network outlasting the festival. FMP (Free Music Productions), was the ideal partner to meet such ambitions, since the label and its “Workshop Freie Musik“ was the incarnation of the workshop principle. For many years they‘d invited and hosted the best and most important improvisers from all over the world, but they needed a star attraction, a major figure willing to create something outstanding. They finally agreed on Cecil Taylor, though this wasn‘t as obvious as one might think as he had the reputation of being a trifle capricious. Taylor liked the idea of a transcontinental project, however. Since the early 1980s his albums had been released mainly on European labels, so it was logical to perform with European musicians, something he had rarely done before. For the Berlin project he also had the chance to work with a large ensemble consisting of the elite of European free jazz: Enrico Rava, Tomasz Stanko, Gunter Hampel, Evan Parker, Derek Bailey, Peter Brötzmann, Han Bennink, Tony Oxley, Peter Kowald, Hannes Bauer, and many others. Taylor was also given the opportunity to play with new drummers and found one with whom he came to work regularly. For his month in Berlin (17 June to 17 July) Taylor chose five: Han Bennink, Günter Sommer, Louis Moholo, Paul Lovens and Tony Oxley – all very different. In general terms, there were the physical players like Bennink or Moholo. The first tries to meet Taylor’s sound cascades by challenging him with his own particular weapons, a confrontation of muscular strength and filigree details. South-African expatriate Louis Moholo is rooted in an African drumming tradition whose style is closest to Taylor’s former drummers: Sunny Murray, Andrew Cyrille and Ronald Shannon Jackson. Günter Sommer, a drummer unknown to Taylor (from the other side of the Wall) was a recommendation of FMP boss Jost Gebers, Also in the physical category, he includes tubular bells, gongs, organ pipes and shawms in his arsenal of percussion, adept at playing both in and out of time. They ended up playing three concerts together, two in East Berlin. On the other hand there are the more subtle players: Paul Lovens and Tony Oxley (who also augment their kits). 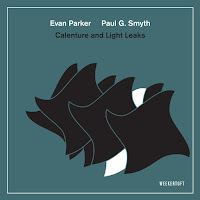 Lovens was daunted by Taylor’s presence and wanted to reject the offer, but Evan Parker persuaded him to accept what could be a unique experience. It was, and Lovens rose to the challenge. The most interesting duo however, is with Tony Oxley. His more fine-grained approach combined with Taylor’s supersonic technique, resembles a particle collider. Oxley uses a highly original drum set consisting of regular (but higher tuned) drums, cymbals, metal and wood surfaces, and a panoply of bells to create “intricate soundscapes” giving the music a more vertical than horizontal, sound. Oxley had thought for some time that what Taylor required was a percussionist whose skins, surfaces and textures went beyond the standard trap kit. It turned out that Taylor must have felt an affinity for Oxley’s playing as he was the drummer in his subsequent Feel Trio (with William Parker on bass) – one of the great piano trios of free jazz – and he played with him regularly as a duo on tour in Europe. They also played in a colossal quartet with Evan Parker and Barry Guy but sadly, there’s just the one album: Nailed (FMP, 2000). Taylor used Lovens when he toured with his quartets and quintets in the 1990s (unfortunately, there are no ‘official’ albums of these bands, but there are two extensive performances on YouTube, here and here). 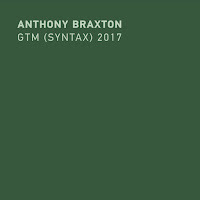 The centerpiece of the project is definitely Taylor’s collaboration with the European Orchestra, an ensemble of the most famous names from Europe’s avant-garde improv scene (augmented by William Parker on bass) and the result is one of the most spectacular pieces of music ever recorded in free jazz. Alms/Tiergarten (Spree) is as radical as a free jazz orchestra can be, a solid and beautifully constructed connection between two worlds. One reason is the extensive rehearsal time available. Taylor encouraged the players to write their own music, based on the musical concepts he had provided: specific chords, scales and riff fragments. He trusted them completely and wanted them to feel responsible for the process of improving and developing the material, to realize that it was not his, but their orchestra. For the actual performance he provided the orchestra with notated material that they could use to structure the sound and the process of the pieces (which they were free to ignore). He also nominated so-called “section leaders“, sort of sub-conductors who were to determine when and how long the orchestra parts had to be played. 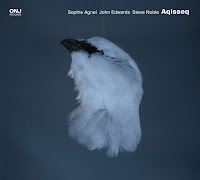 Enrico Rava, Evan Parker and Louis Sclavis turned out to be very good at this and created sound layers in which the solos shone even brighter. Taylor added material during the performance – a driving force, relentlessly chasing the orchestra with his chords and clusters as a shepherd’s dog herds his flock. The atmosphere of “Involution/Evolution“, the first track, is full of exciting cacophonies, fiery fanfares and magnificent hymns with motives resonating through the sounding body of the orchestra. The solos emerge from the mass and retreat so quickly that it’s hard to follow, like a massive gospel choir with the solo and tutti parts ricocheting round the room – a real adrenalin rush. And behind everything there’s Taylor, the galley supervisor, setting the pace and direction. The second piece, “Weight – Breath – Sounding trees“, is even more dramatic, full of surprises – like the sudden interruption of chanting – and quality solos allowed full prominence by the control of the section leaders. For example: we’re able to hear the duet between Hannes Bauer’s rampant trombone and Louis Sclavis’ passionate clarinet compete with Taylor’s pianistic whips and Hampel’s driving vibes due to Evan Parker forcing the horn-section to hold their fire; he makes the impatient army wait, “by means of frantic hand signals, until the last possible moment“, as the liner notes indicate. 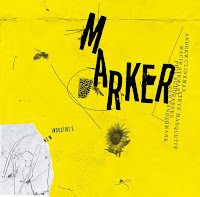 The set is completed by a duo with British guitarist Derek Bailey, where Taylor’s poetry and piano material collide with the guitarist’s flageolets and microtone sound carpet, and a trio with Tristan Honsinger (c) and Evan Parker (saxes). The trio is the most chamber music-like approach to Taylor’s music, subtly elaborated, especially in the duos where multiple voicings can be heard. And finally, Legba Crossing, the Workshop Ensemble CD, which was not available individually before on CD (only as a download - also from destination.out), and is included in this download set as well. Taylor leaves the piano part to Paul Plimley, he only conducts the players. The music focuses on strings (three basses and superb violinist, Harald Kimmig) and voices (Taylor and Trudy Moore), and it is much more influenced by modern European classical music, as if Ligeti fell for free jazz. However, it shares the same impetus of brutality as the European Orchestra. In order to cover the complete project, the set also includes the concert in East Berlin (a double CD with Günter Sommer and a solo concert, which were not part of the original box but were released on CD subsequently) and a solo concert in West Berlin, which present Taylor’s work after this month-long residency, and makes an interesting contrast to his work in the 1970s. It’s obvious that Taylor’s music had also changed at the end of this project. He had benefitted from the collaboration with the Europeans because his work was opened up for assessment, re-evaluation and revision. As a result, he also learned from them - there are new components he uses in his musical vocabulary, new runs and riffs that occur here for the first time and which he has used since. As everyone knows today, the project was a huge artistic success. The box set received the “Preis der Deutschen Schallplattenkritik“ (a German Critics Award), it was album of the year and Taylor was elected“ best pianist“ in the 1990 Downbeat poll. And he returned to Berlin for another six months in 1990, equipped with a DAAD scholarship which gave him and FMP the possibility to record even more beautiful music. 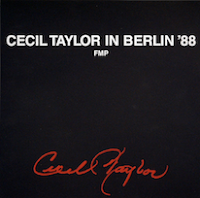 Thanks to Destination Out (the former blog which has become a digital download service for FMP titles) the whole set, which could only be bought for fantasy prices, is now available as a high-quality, authorized download, under the title Cecil Taylor in Berlin ’88 and it costs $125 (over 14 hours of music). 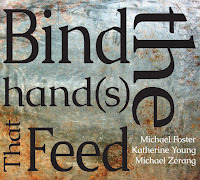 The wonderful booklet can also be downloaded as a pdf file for $39.95. Although this is a lot of money, it is well spent. In Berlin ’88 is one of the most important, influential, and best albums ever released (especially Alms/Tiergarten), it’s in line with Albert Ayler’s Spiritual Unity or John Coltrane’s A Love Supreme. It’s simply a must. Important music, but it is outrageous to charge $125 for download-only material and to then ask another $50 (!) for a PDF of the booklet. Charge what you want for the PDF separately, but it should be included for those that choose to pay the already high asking price of the music. Oh, a great day today! This box is on my wishlist for 25 years. understand why they want people to buy the whole thing. It's a true masterpiece: 5 stars + CROWN! At first sight, it does look rather mean not to include the PDF of the book with the music, which is what one would normally expect. It's possible however, that Destination Out had to acquire the rights to the book separately from the recordings and that this is how it's recouping such additional expenditure, but I just don't know. The book contains a number of valuable essays and some nice photos, but I should point out that it's not the same as the liner notes which were provided when the CD's were subsequently released by FMP individually, and which don't appear to be included in the download. So far as I'm aware, they're not available separately. Great news indeed. I already own all the individual discs (except Legba Crossing) but I'm interested in getting this - if it's been remastered. Has it been? I thought the originals were a little poor sound-wise (often you have to turn them way up to hear them). So far as I'm aware, they've not been remastered, so it's difficult to see any benefit. You could just rip your CDs to FLAC files. Generally, older recordings are mastered at a lower level. Some still do that because in theory, it allows for a wider dynamic range. Personally, I've always thought the recording quality very good, as are most FMP releases. It's nice to have some distance and the sense that the performance is taking place in a real space. It's $ 125,- for the files plus another $ 23,- tax which is $ 148,- (well, in Germany it is). And that's just a bit over the top. Sorry. It is a lot of money, but I suppose the comparison is with the alternative means of acquiring the music. Hopefully, In due course Destination Out will make the albums availanble individually so they can be bought in more manageable chunks. Thanks for the reply about the remastering, Colin. I suppose I shouldn't have said the sound quality is poor - it really isn't, as you've indicated. Still, I continue to believe a remastering would not be uncalled for. I might buy the book since I don't have it. Remastering is an odd thing, but when it works, as with the Soul Note/Black Saint remastered sets where there has been a significant improvement in sound quality, it's well worth having. In the case of the current set, I'm not even sure the master tapes are available, which were probably in analogue, with Destination Out only acquiring the digital rights. Are you sure the Black Saint sets were really remastered? I spoke to one of the artists and he said "No". On what set do you hear improvements? Obviously, I wasn't present during the process and can only take the label's word for it, but since the word "remastered" is used in the title, it seems probable that this is correct. Without knowing who has suggested otherwise, and his or her grounds for disputing matters, I'm not sure I can say anything further. It would seem very odd however, if such a claim were made so conspicuously, and for it not to be true. As for the recordings that have benefited, the Paul Motian and Cecil Taylor sets are the ones that spring to mind. A real increase in clarity over previous CD issues. I am very happy because Mr. Taylor will get $120 out of $125... don´t? The Black Saint/Soul Note box sets I sampled and compared to the original CDs were awful. A botch job. In general, there is nothing wrong with the sound of the original Black Saint & Soul Note CDs.